Near the north west of Isle of Skye, in the Hebrides, stands the magnificent Dunvegan Castle, ancient home of the Chiefs of the Clan Macleod for nearly 800 years. The Clan Macleod tour to the Isle of Skye begins at Inverness where we follow the banks of Loch Ness down past Urquhart Castle to Invermoriston before turning west through Glen Moriston on the way to Loch Cluanie and Glen Shiel. Loch Duich awaits us at the foot of the Five Sisters of Kintail mountains with the stunning Eilean Donan Castle in the distance. 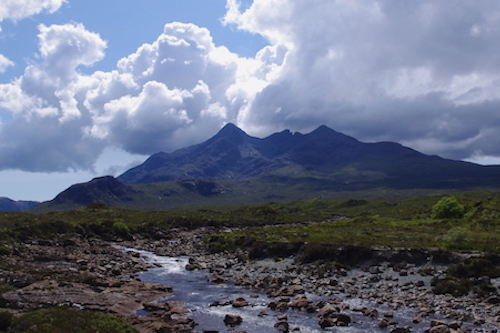 After a brief photo and refreshment break at the castle we cross the bridge to the Isle of Skye and on to explore the magnificent Cuillin mountain range. 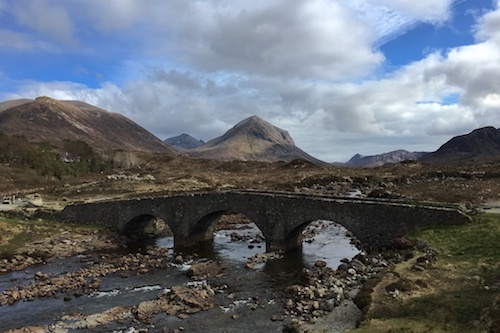 Our journey through the Isle of Skye takes us to the base of the Red Hills and the old bridge at Sligachan for a dramatic view of the peaks of the Black Cuillin in ancient Macleod lands. From there its a short drive to Dunvegan Castle - the oldest continually inhabited castle in Scotland - where we have around 2 hours to explore the castle, its gardens and enjoy a late lunch. Leaving Dunvegan Castle we drive to the main town in Skye - Portree - where we have a brief late afternoon stop to explore its beautiful harbour and town centre before we begin our return journey to Inverness arriving back in the early evening. Our standard visit to Dunvegan Castle is for around 2 hours, however this can be extended to nearly 3 hours (if you are of Macleod ancestry you may wish to have extra time at the castle). Alternatively, you could extend your stop at Eilean Donan Castle to around 1¼ hours with time to explore inside the castle (entrance fee £10pp). 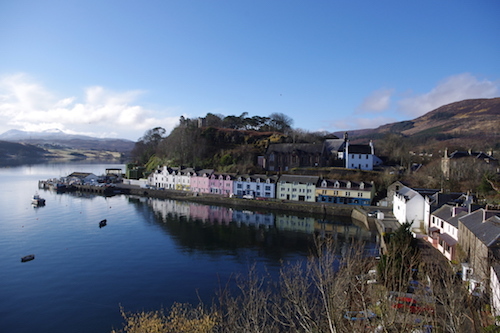 With either of these options we would not be visiting Portree and they can be chosen on the tour day. While the tour does cover over 260 miles we do this over 11 hours which allows for lots of stops and time out of the vehicle enjoying the scenery. We have a 30 minute refreshment stop in the mid-morning along with around 2 hours at Dunvegan Castle followed by a 30 minute stop in the late afternoon at Portree. Additionally, we have at least 6 viewpoint and photo stops between 10 and 15 mins. Please note that it is quite a long drive to Dunvegan Castle but we try and make sure you get as much time as possible out of the vehicle. Finally, I hope your group doesn’t mind being taken there by a Macdonald - I promise to be impartial (most of the time) especially as my great grandmother was a Macleod! 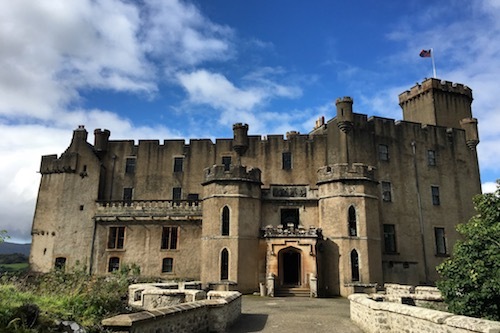 Dunvegan Castle is only open from 1st April to 15th October 2019 and is closed outwith those dates. Interested in a 3 Day Clan Macleod Tour? If you would like a longer tour then consider the 3 Day Clan Macleod Tour which includes the Isle of Skye and Dunvegan Castle along with Clan Macleod lands on the Isle of Lewis and the Isle of Harris.